Hey guys! I hope your week is going well so far. Mine is busy, but I really can't complain. Today's post features the new format of the Nouveau Geek Box. While previous boxes have featured five polishes, the new format will feature three shades. This means future boxes will be smaller, but they will also be more wallet friendly. 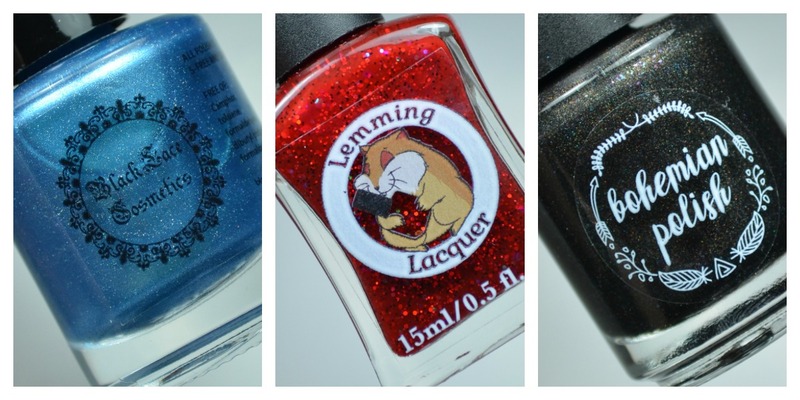 The lastest Nouveau Geek Box Diamond Cluster Hustlers Trio features Black Lace Cosmetics, Lemming Lacquer and Bohemian Polish. These enticing shades were inspired by comic book villainesses. I don't know about you, but I'm all for some girl power! Notes: This icy blue holo was inspired by Mystique. While I haven't tried to stamp with it, I have a feeling that this shade would be great for stamping. 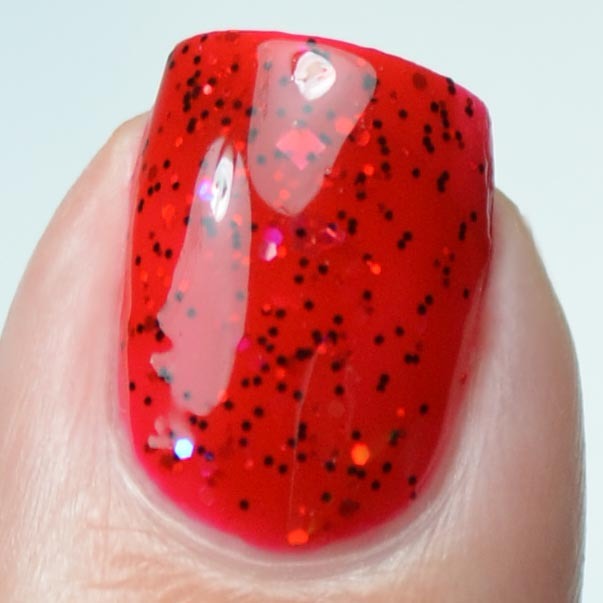 Notes: In my humble opinion all jellies/crellies should have this kind of opacity. It's opaque enough to cover the visible nail line while being translucent enough to see glitter in previous coats. This is what perfection looks like. Notes: While not noted in the polish description, I noticed some kind of beautiful micro flakes in this shade. I'm not entirely sure what to call them, but you can see them twinkling in shades of blue and purple. The Nouveau Geek Box Diamond Cluster Hustlers Trio will be available for pre-order starting December 26th at midnight, and will close on January 7th at 11:59pm EST. You can purchase the trio for $24 + s&h or you may purchase each shade individually for $10 each.